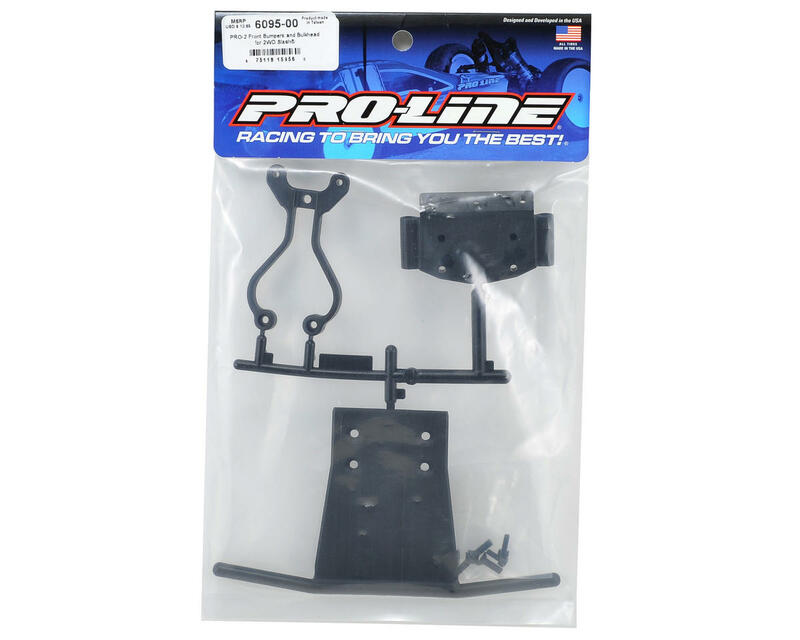 This is an optional Pro-Line PRO-2 Bulkhead and Front Bumper Set, and is intended for use with the Traxxas Slash 1/10 scale short course truck. 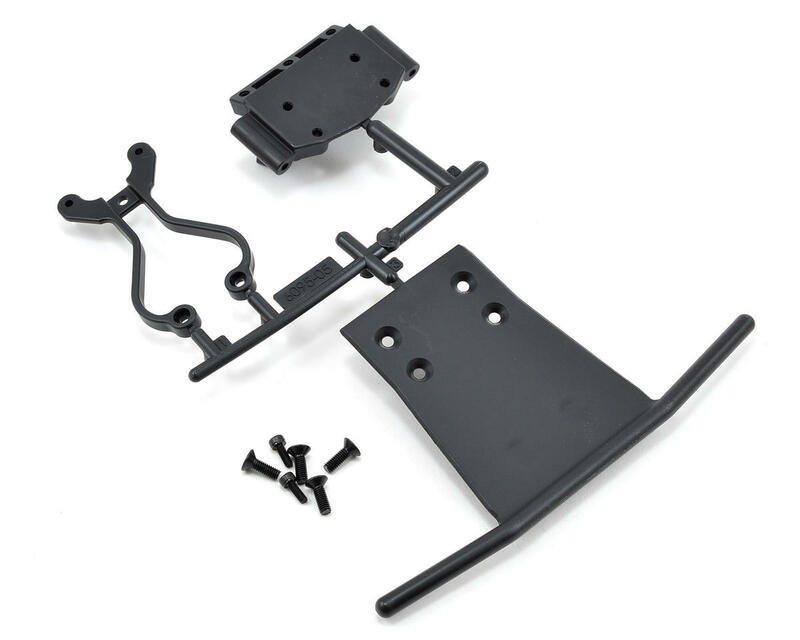 The PRO-2 Bumper features Pro-Line’s unique “Flex Mount” brace that absorbs all impacts rather than transferring them into your truck and potentially damaging vital components. The two vertically mounted screws that fasten the bumper to the brace act as pivot points for the brace to rotate around allowing the PRO-2 bumpers to bend but not break. The PRO-2 bumper was also specifically designed to be as low-profile and minimalistic as possible in order to fit the different types of bodies that Slash users run on their trucks. The front bumper kit also includes a black bulkhead so you can ditch the ugly grey stock bulkhead. Very good upgrade. I love the low profile and sleek look it gives to the slash. Nice replacement part over the bulky stock Slash crash cage bumper. Perfect fit on the stock chassis and gives a more contemporary short course look of other sct's.